The 509 Electric De-fog Goggles do well. The only issue is batteries dying so fast & you loosing the benefits of the goggles with your dead battery! The RoczToyz P&P Goggle Power Supply solves your dead battery issues! Our Plug & Play Goggle Supply provides you unlimited ride-time with your goggles powered right from your sled! For much less than extra dead batteries, you can solve this issue forever! Save your battery for when you need it. Super Light-Weight, weighs & costs MUCH less than one dead battery pack. 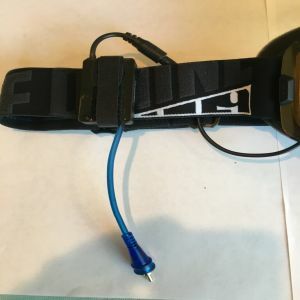 Velcros right to your Goggle Strap, won't move as you ride. 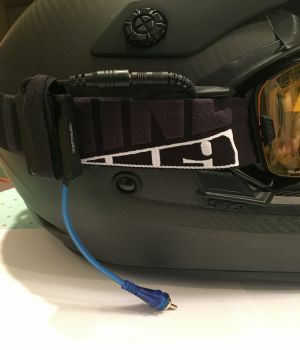 Simple Plug & Play using Industry Standard RCA input connector & proper 509 Goggle Outlet connector. 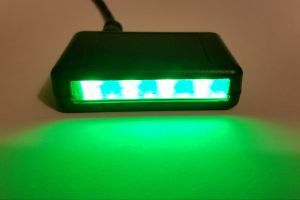 Includes LED indicator so you know you are powered. Velcro on Rear to prevent supply movement. Velcro Wrap to mount to Strap. 1-1/4" x 2" and less than 1/2 inch thick. Hurry, supplies are limited for the Intro Discount! 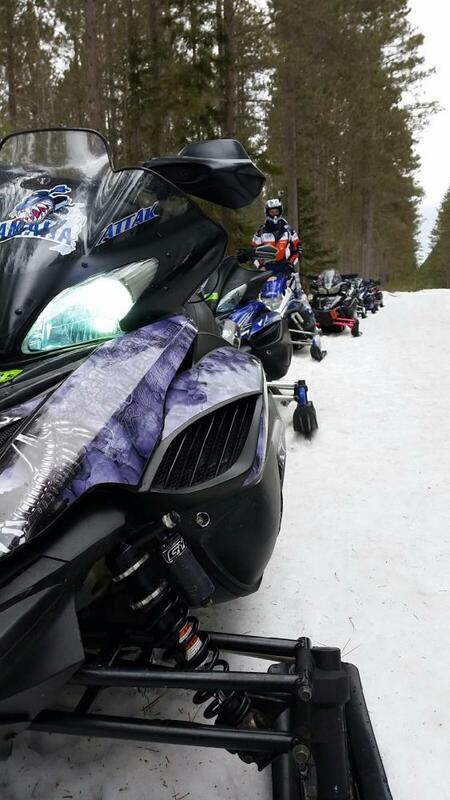 Have you tried adjusting the headlight on your SRviper/Sidewinder/Arctic Cat ProCross sled? IF you have the correct tools, you can kinda get it close while in the garage, however we all know as soon as you are on the trail, it isn't quite right! We all know the best way to set your headlight, is on the trail. So I loaded up the "right" tools to set my headlight adjustment. So on the trail at a stop, I dig out my tools, and finagal them into the very limited space and do minor adjustments to the light. Of course, as soon as I'm sitting on the sled & riding, you know it isn't right. So stop again, dig out tools, finagal them into place, freezing fingers, cutting hands, & try again. Do this over & over, go too far one way, then too far the other way. Holy cow! So now I'm sick of messing with this, I'm bleeding and my fingers are FROZE! So, this is why I made the EASY ADJUST Remote Headlight Adjuster! You can now EASILY adjust your headlight at a moments notice, ON THE TRAIL, WITH GLOVES ON, NO TOOLS REQUIRED! EASY. Change the air/preload on your shocks? No problem, headlight is easily adjusted. Have a passenger/no passenger? No problem, headlight is easily adjusted. Add weight to your saddlebags, no problem! No matter the reason, your headlight can be EASILY & QUICKLY perfectly adjusted with an EASY ADJUST Remote Headlight Adjuster! Kit comes complete with Adjuster, required mounting devices, and instructions. Install is also easy & takes about 15 minutes. Pricing is $35 + shipping. Year, Make & Model of Sled? That way, others can see the light & know what is coming towards them. you have additional riders behind you. there are no additional Riders in your group. easy way to keep your hands on your bars while still being able to signal on-coming riders. We also designed it with serious value in mind. For less than the cost of 1 other light, you can do 2-3 sleds, or yours for much less! NO drilling holes in your sled. Hazard Warning function built right in! 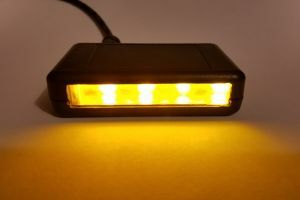 You set it to flash Yellow nice & bright to warn other riders of a hazard on the trail, such as a sled on the side of the trail. Small, Tough, Super Fast & EASY Install! All high impact resistant plastic. Ride lite with little weight. Auto_Bright/Dim for Automatic Day & Night Use! You simply set it & forget it! Easy. Holds up in extreme conditions & is easily replaced in moments if ever needed. However, in case you missed the pre-order special, we are taking orders for $45 per unit + $5 shipping. Pricing & any specs are subject to change & will change without notice. As with the Pre-Order, pricing WILL change when fully released. Current pricing is based on early orders. fill in How You Found Out About Us below, & click on add to cart. Complete the transaction in the Cart window that opens for you. You can put any information you want in the How You Found Out About Us box. ROCZTOYZ P&P HID Incredible Lighting Kits! We actually design & Build them JUST FOR YOUR MACHINE! We Design & Build Incredible Lighting kits for your machine! These are designed to have very low in-rush & running current. 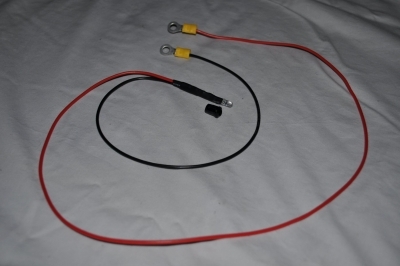 This helps to protect your stator & keep you running! We even make the High/Low split closer together, just for riders on-trail. This is so you don't have that dreaded "Dead Zone"
Where High Beam is Too High, & Low Beam is too low. Ours are usually "Just Right"
Part of that is because no-one else actually makes their own stuff. We build our products in Fort Wayne, Indiana just for Off-Road Vehicles like sleds. We don't make every part we sell, however we DO spec anything we don't make. Meaning: We know what specifications to call for that will work properly on our rides & only buy the right stuff. The parts we can, we DO make, such as the electronics. This matters because for example: We can control how heavily or lightly your stator is treated. Unfortunately, many guys don't even understand why this matters to your stator, let alone what the loads should be. We WANT your stator to last! perience to be great with little to NO issues! We want your lights to simply work for as long as you own your machine & beyond. Right now, we are running a special on our P&P HID & LED lighting kits. Order Your RoczToyz Incredible P&P HID Light Kit here! All lamps are the same incredible brightness, no matter the color. 4300K Super White with a hint of Blue - Pierces Snowdust the best. 5000K Super White with more Blue - Still Pierces Snowdust pretty well. Matches Handguard LEDs well. 6000K Much more Blue - Does ok in snow, more reflective light, reflects off snowdust more. You may put the color you would like in the How You found Out About As field. You can put any information you want in the How You Found Out About Us Field, BEFORE clicking Add To Cart. The RoczToyz.com SMART SUPPLY is a super quick, easy, Plug & Play multiple power outlet for your ride! SMART SUPPLY has TWO 1 Amp USB outlets to charge/run anything with a USB cord. You can easily charge/run your Phone, I-Pod, GPS, MP3 player, ANYTHING USB powered, as you ride! It is fully Garmin & I-device(Apple) compatible! Will charge all devices in high current/fast charge mode if the device calls for it. This means you can easily use the GPS function on your phone AND charge the battery at the same time! 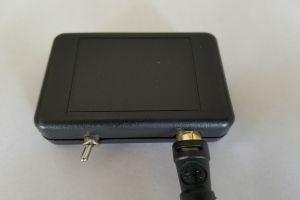 The SMART SUPPLY also has TWO 2 Amp 12v DC RCA outlets that provide easy, reliable power for heated shields, gloves, etc. 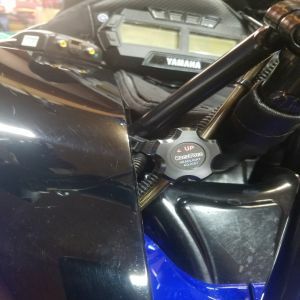 All outlets provide power that keeps working & won't vibrate out as you ride. 2) Peeling & sticking with the included velcro! 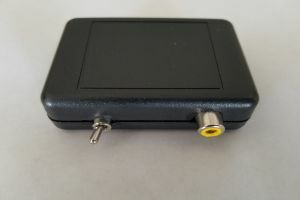 Provides easy, clean, fast power for any of your devices with one simple connection! USB Outlets include one silicone USB plug to help protect un-used outlet. If your machine's voltage regulator should fail, the SMART SUPPLY will help protect your sensitive electronics. The SMART SUPPLY also protects your USB powered electronics from normal electrical surges. Most any other machine with AC or DC system. Universal Unit comes with extra connector, may need to connect 2 wires to machine. We are looking for Can-Am quad & side-by-side owners that would like to gather information & test free products. Please email us. If you have an idea that you would like us to build for you that we do not currently offer, please contact us with your request. Many times we will build it free for the first person asking for it. You don't have to freeze any longer. Enjoy Instant Heat at your fingertips! We also offer the THUMBBOOSTER! It is a Plug & Play solution that Adds additional heat to your Thumbwarmer, ensuring you WILL be warm! 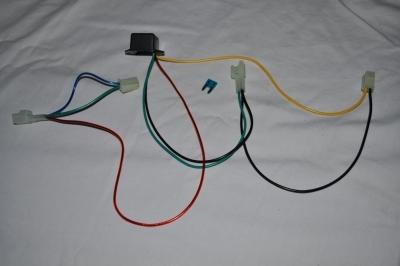 The STARTER SAVER is a Stuck Starter Warning System. It provides a Very Bright Red Flashing Warning if your starter should stick on. This provides you a chance to fix it BEFORE it costs you hundreds of dollars! 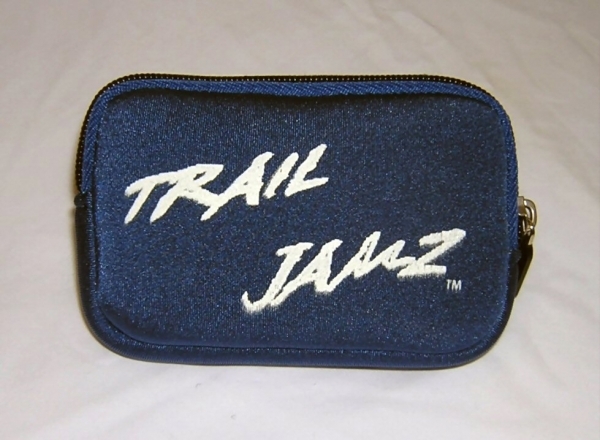 Click Here for TRAIL JAMZ Awesome In-Helmet Stereo Systems, BOOMERS In-Helmet Speakers, GoPro Helmet Power Supplies, etc !